For the medical & educational fields, this glass head is effective for displaying CPAP masks, electrode measurements, and attachment techniques for training. 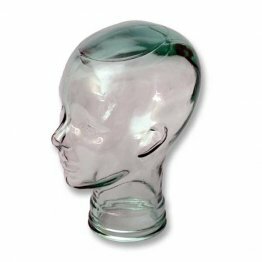 With the smooth, sleek, resonating design, this low cost glass head provide numerous benefits for any scenario! 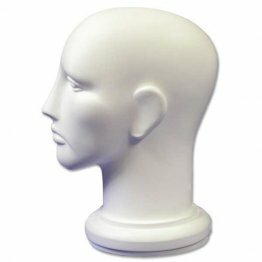 Circumference of the head right above the ears is approximately 22"
*This item is currently on backorder until the end of April. Can be backordered. 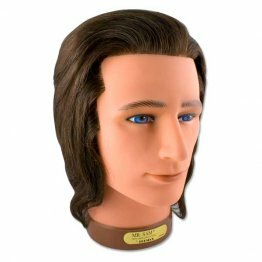 100% human hair manikin. Can be used for measuring and electrode placement training.